MEDEVIAL The story: A treasure discovered... Alas a brave knight (like you) found it too. A merciless fight begins between you two... A turn-based fight per turn. 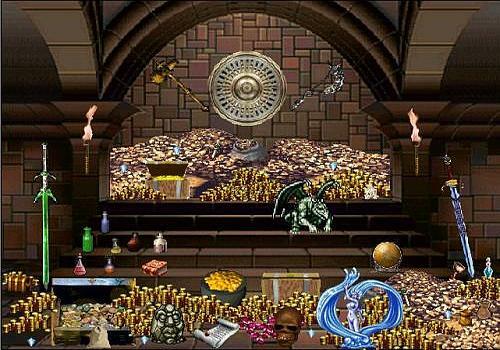 At the end of the fight, there can only be one left, and if you win this fight, you will have access to the treasure room, where a new challenge awaits you: collecting as much treasure as possible in the shortest possible time. The time allowed is calculated randomly and does not exceed 45 seconds. In addition, some objects are trapped and cause you to lose points. At the end of this collection, you will have access to the HI-SCORES table. Will you be among the best? Good luck, knight! Every year, the shamans of the many Octopon tribes gather in a mysterious cave. This place, forbidden to mortals, is a great altar for the dead. A real-time strategy game, World in Conflict is one of the best realistic RTSs that can be expressed even more in multiplayer.